Less than an hour after Gordon Elliott watched the mighty Tiger Roll capture a second Randox Health Grand National, he was back in the winner's enclosure at Aintree courtesy of Chief Justice (13/2) who captured the final race of the Randox Health Grand National Festival, the £50,000 Pinsent Masons Handicap Hurdle. Ridden by amateur jockey Jamie Codd, dubbed "The Coddfather", the four-year-old son of Acclamation held on gamely to capture the extended two-mile event, defeating the fast-finishing Thistimenextyear (6/1), trained by Richard Spencer, by a head. Codd said: "That was a great win by Chief Justice. The race went perfect. The plan was to drop in and we did that. "He had good Graded form coming into this race. I needed the line and it was brilliant to have a winner. "I maybe went a little too soon, but Chief Justice won and that is all that matters. "Gordon Elliott is an incredible man and I'm delighted to be riding for him and to be part of the team." "Tiger Roll is a brilliant horse. 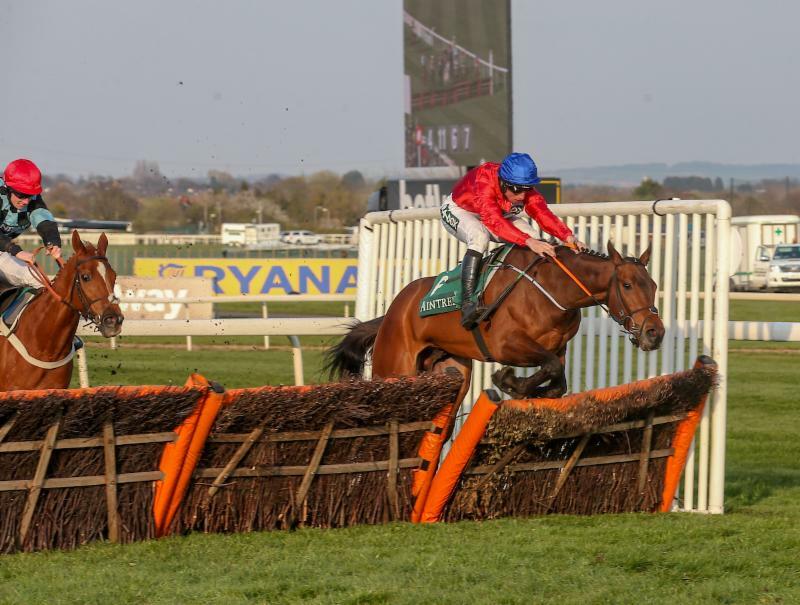 It's so special for him to emulate Red Rum and Davy Russell is just a fantastic character, he epitomises racing and I'm delighted for all concerned, it has been a great day for the yard." Elliott commented: "That was a good performance from Chief Justice. It was a great ride by Jamie and did it well. "It has been a brilliant day."